With the Oscars fast approaching on Sunday night, the time has come to look back on the 2013 year in cinema. Yes, I am aware that it is the end of February, but if it is good enough for the Academy of Motion Picture Arts and Sciences to have the year end award celebration two months after the year’s end, it is good enough for me too! 2013’s movie year had its share of groundbreaking achievements (Gravity, 12 Years a Slave), box office and critical disasters (The Lone Ranger, Man of Steel), movies about attacks on the White House (two more than we asked for), memorable and career-defining performances (Leonardo DiCaprio in The Wolf of Wall Street, Matthew McConaughey in Dallas Buyers Club), and a throwback Disney animated movie that, along with its signature song, is still sweeping the nation. Speaking of letting go, we had to concede that Oz was more bad and terrible than Great and Powerful, that in modern times Superman destroys city property and opponent necks without reservation, and that Jodie Foster’s performance in Elysium may have been as awful we originally thought. We saw Tom Hanks return to his vintage prolific acting form in Captain Phillips. 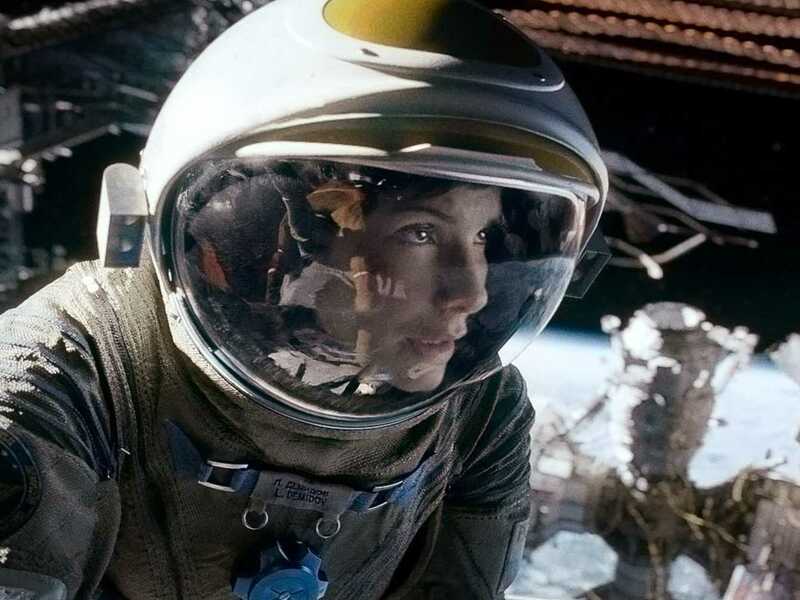 We witnessed the much anticipated return of Alfonso Cuarón’s brilliant directing in Gravity after a seven year break between releases. We even lived through the return of Bruce Willis’ Die Hard franchise to unnoticeable cultural significance. At best meaningful or magical, at worst disappointing or depressing, and at times utterly confusing (everything to do with Ridley Scott’s The Counselor), 2013’s twelve cinematic months were always memorable. First, I present fifty awards and superlatives to help put all of this into a clearer perspective. Then, I delve into my rankings and selections (if I filled out a ballot) for the six major Academy Award categories. Brace yourselves. Oftentimes the Best Supporting Actor is the strongest and most stacked group of actors of any of the four major acting categories. Each nominated actor last year in this category had already won at least one Academy Award prior (Last year’s losers include all-time greats like De Niro and the late Philip Seymour Hoffman whose legacy of outstanding, brilliant work and the magnitude of his tragic loss will be a haunting reality engulfing this year’s ceremony). This year’s group of actors lack some of the same longevity, staying power, and reliability. There are three first time nominees: Native Somali Barkhad Abdi is entirely new to the scene and landed his first agent after filming Captain Phillips. Jared Leto (Jordan Catalano lives!) is just back from a five year acting hiatus and is oftentimes a little bit enigmatic (his band Thirty Seconds to Mars seems aptly titled) and a little bit inaccessible. Michael Fassbender, although delivering strong performances for sometime, may still be on the precipice of full arrival. Both Bradley Cooper (last year’s Silver Linings Playbook in the Best Actor category) and Jonah Hill (Moneyball) have been nominated before, but we are only beginning to consider them more closely as serious actors. Although prognosticators see this category as Jared Leto’s to lose (and he may be one of the surest bets of any of the major awards), I struggled to place these performances in some kind of relative order of deserving merit. Abdi’s ruthless Somali pirate wins the “just happy to be acting, let alone nominated for an Academy Award” nomination and was effective in his dogged determination, but falls short of some of the other performances. Bradley Cooper had a great time in American Hustle and he and his hair stole a few scenes, but I am not sure his performance (nor the movie for that matter) amounted to much. Jared Leto’s portrayal of Rayon, a transgender, HIV-infected drug addict from Dallas Buyers Club is a wonderful piece of acting, but the summation of the character (and the movie as a whole) holds me back from appreciating it more. This leaves me with a choice between Michael Fassbender’s sadistic plantation owner from 12 Years a Slave and Jonah Hill’s sadistic stockbroker partner of Leonardo DiCaprio in The Wolf of Wall Street. 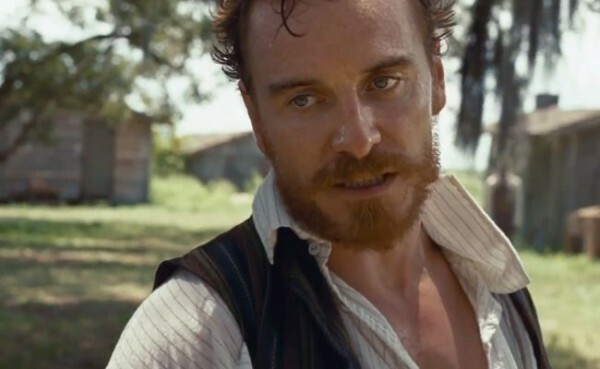 Fassbender gets the nod for me because his Edwin Epps portrayal seems to have taken a more courageous and uncomfortable departure from his true self in a setting and through a subject matter that just matters more. I didn’t like Blue Jasmine, I don’t like Woody Allen’s writing, I don’t like Woody Allen’s direction, I don’t get what all the fuss is about Woody Allen’s women, and I didn’t connect with Sally Hawkins performance in the least bit. June Squibb was wonderful in Nebraska, but I had trouble discerning how much of her work was actual performance versus how much of her work was just playing a slightly dramatized version of herself. What she pulls off is certainly incredible at age eighty-four; a nomination stands by itself as an unbelievable accomplishment. Poor Jennifer Lawrence, fast becoming David O. Russell’s cinematic muse, was woefully miscast in American Hustle (her youthful age was painfully apparent). Notwithstanding, her performance is electric, especially when she engages jab for jab with a methodized Christian Bale, and deserves so much credit for making something so dynamic out of a casting decision so ill-conceived. Julia Roberts knocks Barbara in August: Osage County out of the screen, certainly gives one of her most fearless performances, and may even deliver one of my favorite performances of her career. Unfortunately, this less than cinematic execution of this brilliant stage play by Tracy Letts leaves so much to be desired despite creating a series of strong performances (Julianne Nicholson was most successful as Barbara’s younger sister, Ivy). The performances, especially Miss Julia’s, are sucked up into individual vacuums that should have been left as the dusty familial messiness that the stage version so successfully exploited. Lupita Nyong’o’s Patsey, a strong-willed slave and the object and victim of Michael Fassbender’s character’s lustful and abusive ownership, is a courageous and revelatory screen debut. Her poise, confidence, physicality, and subtle and personalized self awareness deliver an inspired and moving embodiment of one of the many awful human subplots of the American slavery story. Chiwotel Ejiofor, Christian Bale, and Bruce Dern all give outstanding performances in their respective movies. I am not even sure if Bruce Dern was acting in Nebraska, again, toeing the June Squibb line of authenticity mentioned above. He deserves a nomination and nothing further. Christian Bale is Irving Rosenfeld in a another high achieving performance in a career of so many, but, as was also the case with Bradley Cooper, the disjointed messiness of American Hustle does not do Christian Bale’s award deservedness any favors. Chiwotel Ejiofor carries the weight (and at times burden) of Solomon Northrup’s journey in 12 Years a Slave on his shoulders and largely delivers at a most exceptional level, but, likely out of a combination of factors (Steve McQueen’s focus and direction, the adaptation of a real person), it never reaches a transcendent level. This leaves me with a decision between what I consider to be the two best acting performances of 2013. Both are in movies that I did not particularly like, although, albeit exhausted afterward, I did totally enjoy The Wolf of Wall Street experience (the same cannot be said for the “let me check my watch/iPhone/iPad constantly” experience that was my iTunes rental of Dallas Buyers Club). It is a good time to be a viewer of Matthew McConaughey’s work as True Detective fans can attest and Interstellar excitement grows by the minute. His living with HIV/AIDS Ron Woodruff and the forty seven (painful to watch at times) pounds he lost for the role are all components of this tour de force work of acting. I just think Leo was better. 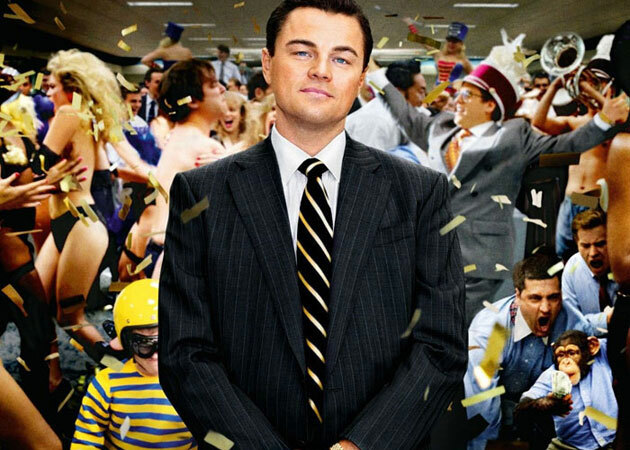 Fatigued, I left the the Coolidge Corner theater on that cold, December night after The Wolf of Wall Street with the strong, guttural belief that I had just witnessed the best acting performance of the year. I have not wavered since. I am surprised at how dispassionate and ambivalent I am about most of this category. The performance of Amy Adams is the embodiment of the unlikeable, sloppy messiness of American Hustle (and I usually love her!). Meryl Streep is Meryl Streep. She is expectedly extraordinary in August: Osage County, just too young, to encumbered by some unwise casting and directorial decisions, and too restricted by the cinematic medium in a story best told on stage in front of an audience. Dame Judi Dench is amazing (as expected and as usual) in Philomena and the story intrigues, but it is not a performance (or a movie for that matter) that moves the needle to be something really special. As for frontrunner and likely award winner Cate Blanchett, as repeated from above, I didn’t like Blue Jasmine, I don’t like Woody Allen’s writing, I don’t like Woody Allen’s direction, and I don’t get what all the fuss is about Woody Allen’s women. Cate Blanchett plays one of these aforementioned Woody Allen women and admittedly owns her performance of Jasmine Francis (with a very high difficulty level I might add), but when a movie amounts to so little (Blue Jasmine is the antithesis of Her. Her is one step into the future, but at the same time entirely current. Blue Jasmine is several steps into the past and unintentionally dated), it’s hard for the performance to reach Best Actress heights. 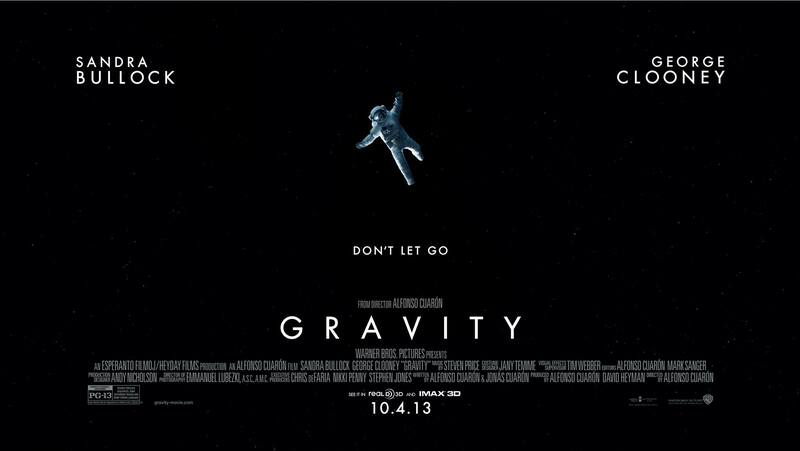 When I saw Gravity, I did not expect Sandra to be the last woman standing in this category and inevitably the woman to win my heart for this award, but here we are, and she deserves it. Four of these directors made outstanding films. Scorsese, McQueen, and Cuarón are all deserving of the highest praise. Alexander Payne is an acquired taste, but for those who dig his dark humor and dull toned emotional palettes, Nebraska is your jam (Even David O. Russell’s messy narrative cannot get in the way of his ability to bring out the best in his actors). 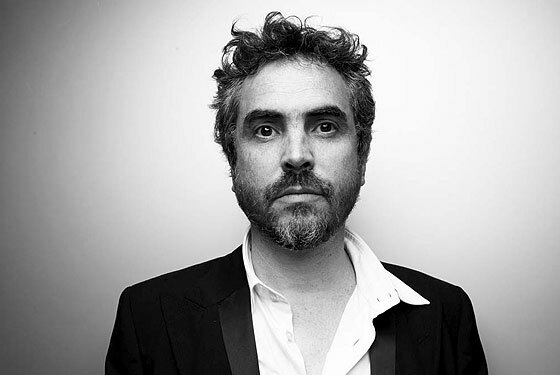 The decision in this category lands with the answers and the scaling of the following two questions: “Is this monumental and transcendent work?” and “Was the director integral to this transcendence?” In the case of Alfonso Cuarón, the answers are “without question” and “Not only integral, but central and essential.” Gravity is Gravity because of the visual, conceptual, and directorial brilliance of Alfonso Cuarón. His work is unrestrained, ambitious, and resets the ceiling of cinematic possibility. Enjoy the Oscars Sunday night and the realization that not only are U2 performing “Ordinary Love” (nominated for Best Song), but there is a strong possibility that Bono could be giving an acceptance speech. I digress. Stay tuned for a whole new year of 5 Things You Need to Know in 2014 and more movie commentary, musings, and news on Culture Challenged. There may be many reasons to either watch tonight’s second season premiere episode of The Americans (if you were lucky enough to experience season one last winter) or to make the sound and enlightened investment to DVR tonight and catch up on season one over the next several weeks through an iTunes or an Amazon Prime purchase, but there is really only one definitive source to find out exactly why you should. Mr. Andy Greenwald, Grantland’s extraordinary television commentator, conveys his sentiments on The Americans with such eloquence, such insightful passion, and such beautiful prose. This is a master writing about a masterful show and I can only aspire to both of their collective standards of excellence. “Nothing else on TV can match The Americans for the dizzying highs of its suspense or the unsettling depths of its emotion. But the reason it’s become the best show on television is more simple: In spite of its radical premise and perilous plots, the most discomfiting aspect of The Americans is its familiarity. All long-term relationships, whether between nation-states or lovers, involve delicate negotiations. They all demand loyalty. And they all require sacrifice. Recognizing this doesn’t make us American. It makes us human. The glorious struggle is our own.” Amen. To summarize: Watch The Americans. Read Andy Greenwald. You will be the better because of it. The Americans airs Wednesday nights at 10:00 PM on FX. Andy Greenwald is a staff writer for Grantland. A new Coldplay song and accompanying video? YES, PLEASE. This ethereal vocal soundscape is a cold play – more Bon Iver than Bon Jovi or Bono – but at the same time hauntingly effective. A harbinger of things to come on a sixth studio album? Let us hope. The horrifying thing is that this is just one day in the house that James Dolan built and things could get a whole lot worse. On a roster that features Metta “malice in palaces” World Peace (for now), Kenyon “dark alley all-time great” Martin (providing the NBA aggressive unrest for over a decade), and J.R. “I love childish behavior!” Smith, and the ensuing departure of Carmelo “there is no way I am sticking around for this” Anthony, anything is possible. I am genuinely scared. Stay tuned. I first discovered and read this New York Magazine/vulture.com article in the wee hours of this morning. I was having trouble sleeping, so I decided to preview my Monday morning website reading rotation to pass the time. When I woke up again for real this time, my experience with this provocative part confessional, part diatribe, and part declaration felt like it had been a part of an imagined dream. Had Alec Baldwin actually retired from being a celebrity (at least in everything that comes with the artistic work)? Was this New Yorker’s New Yorker actually moving to LA out of a forced compulsion? Were his less than favorable depictions of both respected figures (Anderson Cooper, Rachel Maddow) and current Hollywood trainwrecks (Shia LaBouef!) based on actual truths? Culpability for the maelstrom between Alec Baldwin and the many players and layers of media coverage that have dishonored him over these past several years may be up for debate. What is abundantly clear is that Alec Baldwin has felt wronged and is just not going to take it anymore. This is a must read. First it was Simon Cowell. Now it is Piers Morgan’s turn to be a Brit facing United States audience rejection. The former journalist turned America’s Got Talent adjudicator turned Larry King primetime replacement and the face of the mainstream media anti-gun cultural movement (and an admirable soldier he has been) will no longer be sharing his opinions on a nightly basis. CNN and Piers Morgan have decided to end Piers Morgan Live (the final show date is to be determined). For a platform and show that started with a fair amount of promise and intrigue three years ago (his first interview with Oprah set an initial ceiling that he has struggled to consistently maintain), Piers is no longer a viable ratings choice for CNN (Megyn Kelly’s Fox News conservative variety show has proved to be a tough act to go against). Some will miss his pithy banter. Some will not. I will miss his consummate and fervent advocacy for better gun control laws. There has been no louder (albeit not always effective with the people who must be reached) voice. On the plus side, Taran Killam’s (oops, a total miss) Piers Morgan impression will thankfully be retired.